Picture this scenario. A customer in your online store is about to checkout. But they see a discount code field in your cart, do a search for “YourStore.com coupons” and find a coupon from a deal site like RetailMeNot or Coupons360. But wait! You don’t have any outstanding coupons in your shop. The codes are fake!!! The customer then tries the fake coupon code on your shop and it doesn’t work so they leave to search for more fake codes. Finally after repeated attempts, they get pissed off, give up and don’t end up buying anything. Don’t believe this is happening with your shop? It’s human nature. If you have a coupon code field as part of your checkout process, people will look for deals and this can’t be stopped. Now searching for coupon codes is all fine and good. But what you don’t want happening is for that customer to go off in search of coupon codes, find a fake coupon code for your store or even a competing site and not purchase from you at all! Whenever a customer leaves your site for any reason, it’s very bad for business and you don’t want a deal site to piss off your customer or steer your precious sale to a competitor! Below is the strategy that I’m employing to fight the fake coupon sites and simultaneously build my email list and Facebook Messenger list at the same time! Should You Even Display A Coupon Code Field? Obviously, this entire fake promo code problem can be solved by simply not offering discounts in your shop. But is this even realistic? First off, there are different schools of thought when it comes to coupons. Some companies always have coupon codes outstanding as a way to entice customers to shop sooner rather than later. The problem is that if there are always coupons available, then customers generally won’t buy unless they have an active coupon code. The same theory holds true if your store runs regular sales promotions. For example, Bed Bath Beyond is probably the worst offender in this department. I literally have a stack of 20% off coupons for BBB sitting in a drawer and I refuse to buy anything from there at full price. The other reason To not issue mass coupons is because it cheapens the feel of your store. 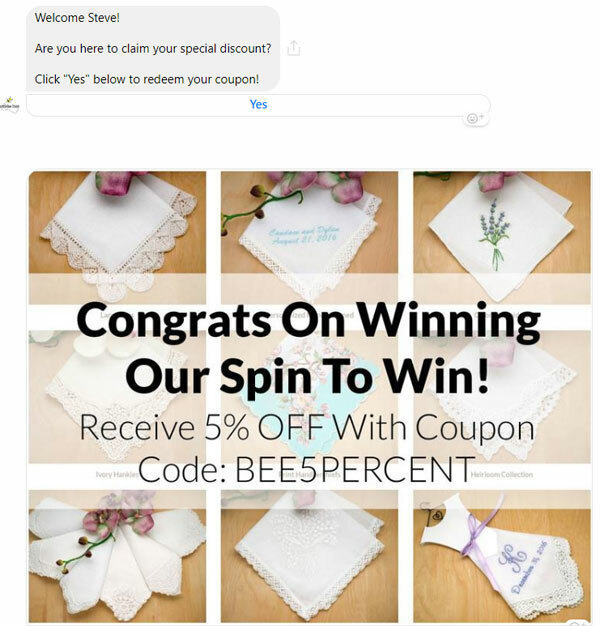 Using my handkerchief shop as an example, we primarily cater to the wedding industry and we definitely don’t want people clipping coupons as a reason to buy from us. We want people to shop because we carry quality products and not because we offer the best bargains. In addition, our cheapest customers have also traditionally been the hardest to please. But that being said, there is definitely a place for discount codes and almost every store in existence offers them for a reason. If you use coupon codes in moderation, they can be an extremely effective way to boost your sales especially during periods of slow sales. Bottom line, if you can avoid offering coupons altogether, then great. But for most online shops, this is not an option. Now you might be thinking to yourself, no big deal. If someone finds a fake coupon code on a deal site and the coupon doesn’t work, so what? They’ll probably check out anyway right? Well, I’ve been tracking this with my store for a little over a year now and guess what? The cart abandonment rate for a failed coupon code is in the double digits! But even more importantly, you are probably losing sales because coupon sites like RetailMeNot are steering deal conscious customers away from your store to shops where they have an affiliate relationship! What?!? How is this happening? In order to fully understand why coupon and deal sites are hurting your store, you first have to understand how these deal sites work and make money. Almost all of the sites like RetailMeNot, Coupons360 make money through affiliate sales. When someone clicks on a link on their site and makes a purchase, they get a cut of the revenue. And the primary way they get traffic is by ranking in search for terms like “YourStore.com Coupons” or “YourStore.com Promo Codes”. I don’t know about you, but whenever I see an empty coupon field while shopping online, I almost always take some time to do a quick coupon search for “Your Store Coupon” or “Your Store Promo Code”. And unfortunately, it almost always results in me leaving the ecommerce site for a short period of time. While searching for coupons, sometimes I find a better deal and never return. Sometimes, I find a coupon code only to discover that it doesn’t work. Sometimes, I waste so much time searching for the coupon that I get fed up and put off the purchase altogether. Because these keywords contain your brand + coupon, they are extremely easy to rank for. And once they rank for “Your Store + Coupon”, is when you start losing out on sales. Here’s a quick and dirty example with my online store. 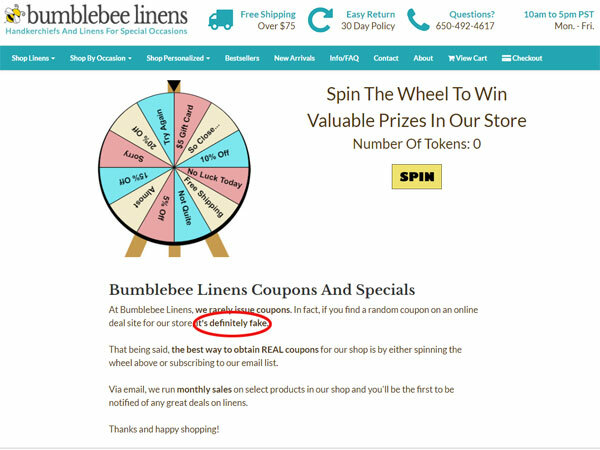 When someone does a search for “Bumblebee Linens Coupons”, this is what they see on a deal site. The first thing you’ll notice is that Bumblebee Linens is just one of many links listed that will steer a customer to similar products. And we are the only company on the entire list where this deal site will NOT make money on a transaction. So guess what? Because it’s in the deal site’s best interests for the visitor to click on any link other than ours, our store isn’t even at the top of the list. The customer will then head to Amazon, Ebay or Macy to shop once the fake discount to my store doesn’t work. This happens all the time! First off, you have to nip this problem in the bud by ranking your own site for “YourStore.com Coupons, Deals And Promo Codes”. 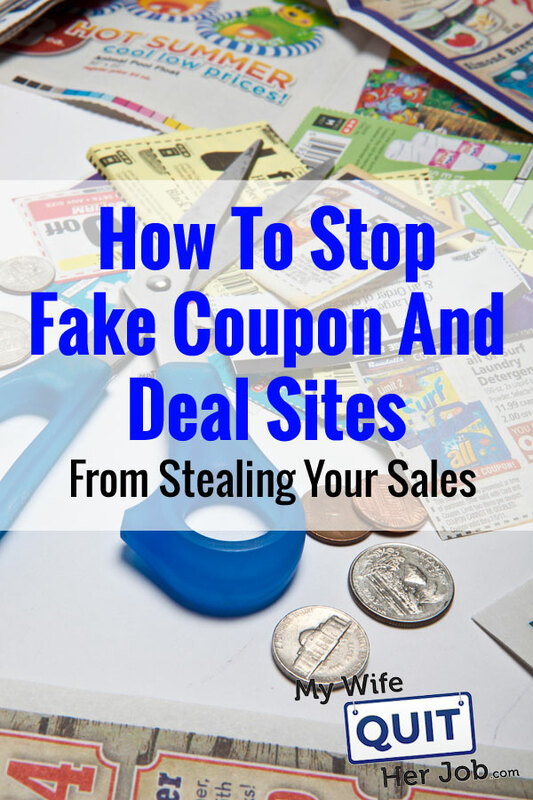 Because you own the domain for your store, it should be relatively easy for you to outrank the crappy deal sites that offer little or no content on their fake coupon pages. 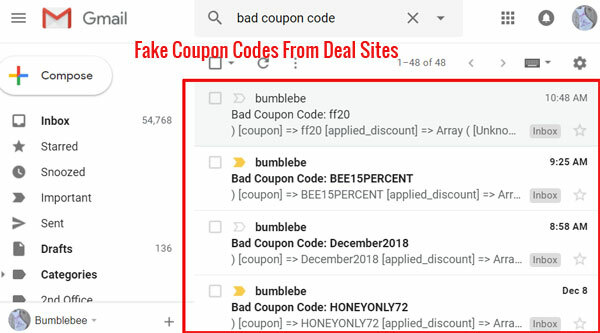 Then, once you rank for your own store + coupon, you need to let customers know that the coupon codes on all of the deal sites are fake. Finally, you can offer a small discount code of your own! Editor’s Note: Even if you don’t offer coupons for your store, you should still implement a coupon page for your shop that states that you simply don’t offer promos. The first thing that you’ll notice is a picture of a wheel of fortune with a yellow “Spin” button. And below the wheel is verbiage that explains that all coupon codes on the online deal sites are fake. Then, I emphasize that the best way to get deals and coupons is by spinning the wheel! Here’s what happens when the customer clicks on the “Spin” button. 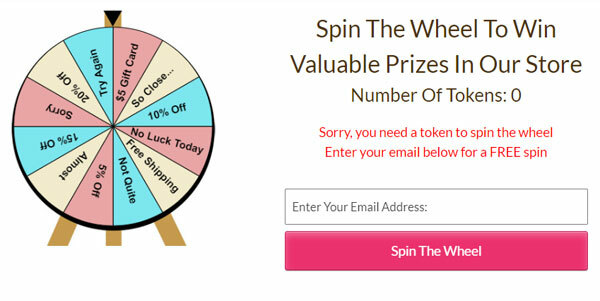 The customer has to enter their email address in order to spin the wheel. Editor’s Note: I’ve written about the wheel of fortune in the past and because people love to play games of chance, the optin rate on this form is over ~50%! 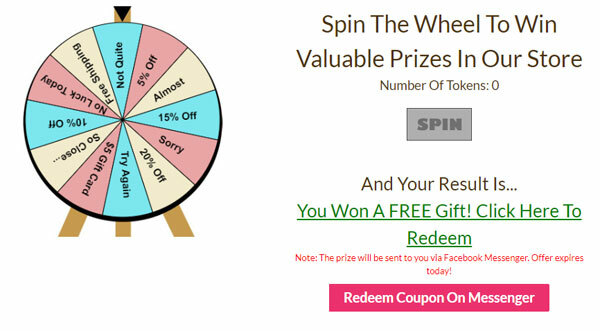 As soon as the customer enters in their email, they are instantly opted into my autoresponder and gifted a token to spin the wheel. On my wheel of fortune, there’s a 50% chance of winning a coupon code. But there are actually no losing spots on the wheel. In fact, 50% of the time, a customer will win a “free gift”. At this point, I could simply give the customer their coupon code and/or free gift and call it a day. But recently, I’ve found that Facebook Messenger is a much better way to market to my customers than email. So when a customer clicks on the link to redeem their prize, they are taken to Facebook Messenger. As soon as the customer clicks on “yes” to redeem their coupon, they instantly become a Facebook Messenger subscriber. Once they receive their coupon, there’s a button that instantly takes them back to checkout with the coupon code automatically applied. You can take this sequence one step further by offering customers additional spins of the wheel or giving customers a slightly bigger discount if they increase their order. The possibilities for upselling and crossselling are endless once you have them on messenger! Even though I wrote my own wheel of fortune plugin, you can implement this exact flow by using a few inexpensive tools online. First off, you need to rank for your own coupon page. So create a post on your website or blog with the title tag “YourStore.com Coupon Codes, Promo Codes And Promotions”. Make sure you link a bunch of your internal pages to your coupon page and include it as part of your sitemap. Within several weeks, this webpage should start ranking on the front page. 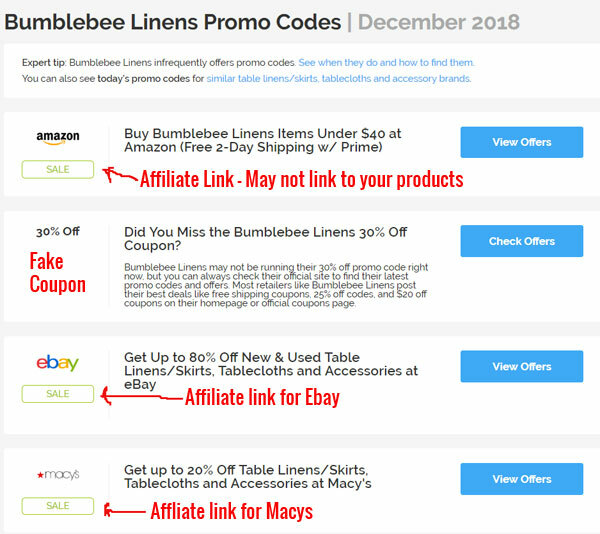 On this promo post, you should state that you rarely give out coupon codes and that the only legit promos are offered on this page or on your email list. 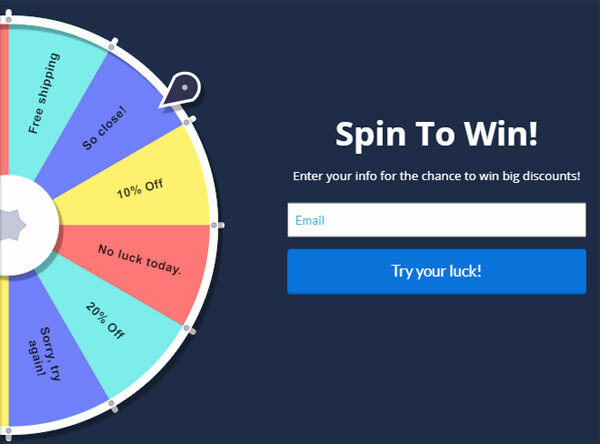 Finally, you should implement a free spin to win popup using a tool like Privy. For each prize on the wheel, use the “Ref URL” growth tool in ManyChat or your favorite chatbot provider and create a special bot for every prize on your wheel. If all goes well, you’ll not only beat the coupon sites at their own game by ranking #1 for your store, but you’ll also get a new email subscriber and Facebook Messenger subscriber in the process. And depending on how elaborate you make your Facebook bot, you can easily upsell and crosssell these customers with additional bulk discounts etc… to increase your order size. Did you like this post? There’s many more where that came from when you sign up for my free 6 day mini course. There are lessons for both beginners and advanced sellers as well. Steve, great post. As an on-line shopper, the coupon code field is an automatic reminder for me to search for a discount. I ALWAYS look for coupons. Is it possible to issue encrypted, time-sensitive coupons? Like you, I am interested to hear of others’ suggestions. Ack. Yeah, I’m like that too. I wonder how many customers leave the checkout process to look for coupons on our store? It is possible via cookies to issue time sensitive coupons. It shouldn’t be too difficult to implement. When I am shopping, I do look for coupon codes. 80% of the goods and services I buy are with coupon codes or sales. Even when I was booking a shuttle to take from the airport yesterday online, I did a search for a coupon code and found one. You are in a totally different niche than I am for my store. I would say take it out for you since you generally don’t offer codes anyway. I know it would be deadly if I did that for mine because I’m still in the process of building. I’m considering doing just that actually. Though we do have a set of event planners that we routinely issue coupons to. It would be pain to have to talk to each every one of them each time they wanted to place an order. Great Blog! Not sure if you have come up with a solution yet but a possible solution is to create a group on your website for the planners or customers that receive coupons. Then only show the coupon box to that group when they are logged in. If you are struggling to find the best coupons then visit the dealhack coupon website to get pool of coupons on vivid stores. Very interesting indeed! 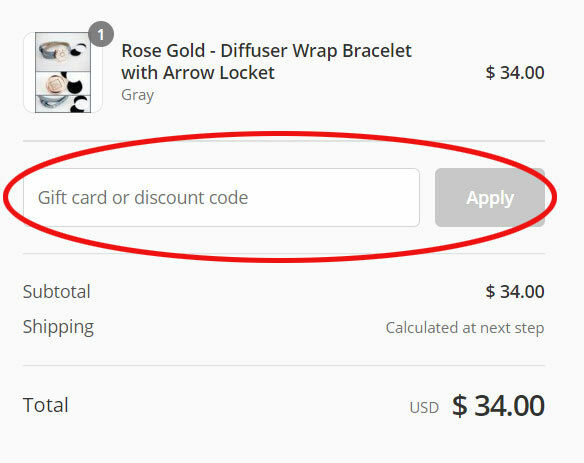 I’d like to know what you find, and if checkout carts allow a URL driven discount code as opposed to always leaving that coupon code hanging. I’m going to dig into Ejunkie and look around right now. I sure know I go to http://www.currentcodes.com each time I checkout somewhere to hunt down some coupons and you’re right, it completely has be second guess my purchase. Very applicable post. I wish I had someone else’s numbers to compare my 7% to. In my mind, shipping is usually the last barrier to checkout. If they reach the payment phase, the transaction should go through 99% of the time. If you don’t normally offer the coupon codes, I would just remove that box from your checkout. I think alot of people might be triggered by seeing the box to go and look to see if they can have their purchase cheaper. I wouldn’t think a 7% exit rate is bad. I think that more people exit at time of checkout after shipping is added or for a variety of other reasons. I know that I was just looking for a part for my oven the other day, went to checkout on a website and realized that I didn’t have my wallet with me. And furthermore, I’ve seen my share of coupon codes that are taking $x off of an already inflated price! I say…consistently offer a quality product at a fair price and offer great customer service. I too don’t like the idea of online coupons actually. You’ve be way better off to simply offer a limited time sale price for an extra deal or bundle price for a sale instead of the coupons. I see what you mean for preferred customers, but then you should call it that so people don’t go searching for coupons. Change the field name to say, preferred customer code, and no one will go searching for a coupon. That is a fantastic idea. I’m going to give that a shot. This sounds like the best solution among the ones I was thinking of doing. Thanks! I think you’re right to question keeping that field. Whenever I’m shopping online and see it, I go look for a coupon. If I don’t find one, sometimes I’ll get annoyed and put off my purchase–seeing a coupon field triggers my expectation that I should find a coupon. When shopping at specialty stores, I don’t expect to use coupon codes–unless the field is there. I’d definitely get rid of it. I’m with Mike and Michelle, I never search for coupons but I always feel a little gypped when I see the code and I don’t have anything. It’s like at the supermarket when they ask you for coupons and you don’t have any. It just adds a bad taste to the whole experience. I do the same thing as Tyler – see the coupon code, don’t search for coupons, and buy anyway. Then, I’m left feeling that everyone else is getting the real price and I’m paying a higher price. Yes, issuing free coupons really has many advantages, it could directly increase the overall sales, and indirectly increase the traffic to your online shopping stores, since consumers searching for coupons, eventually end up at stores in most cases. Great article. I am also interested in Coupon Code. I am on-line shopper. I wonder how many customers leave the checkout process to look for coupons on our store? I don’t like coupons either. It really does devalue the quality of your brand if you’re always handing out discounts to people. And then, as you’ve said, they expect it and won’t buy anything unless there is a “sale” going on. I usually only issue discounts to say thanks for an order or as an apology for messing up an order. We’ve sought to override this issue by implementing a customer rewards program. People can get discounts with the points they earn on purchases, which incentivizes them to spend more instead of waiting around for a coupon. We benefit from extra sales as a result. People haven’t really utilized it yet though. We’ve got to get a better sales page for it, but have to wait until Sweet Tooth updates their app on BigCommerce (currently in Beta). I have to admit, being a consumer that is extremely frugal, I am the customer looking for the coupons. When I shop though, I always do research into the company, shipping and overall cost and reviews of the product. Only then do I make the purchase. If I am truly in need of the product, I will buy no matter whether there is a coupon or not. For me personally, if there is normally a coupon for the store I will go out and see if I can find one (if I remember, I try to do this prior to ordering). If it’s a small store or a store that doesn’t normally offer coupons, I don’t even bother, I just go ahead and order. My question to you Steve, would it be possible to add specific wording to the coupon code box like ” MVC Personal Code” or “enter your personal unique code” or something to that effect? That will kind of hint at there’s no “generic” codes available. That’s not a bad idea. Since I wrote this post, I’m now using gift voucher code but the problem is that people can’t find it. Yes, you are correct, admin. Due to the heavy competition among online retailers the fake coupon sites are increased. After facing many problems with fake coupon sites, I prefer Dealhack coupons for great deals in online shopping.